Giving you the tools to succeed. Our relationship doesn't end when you sign the contract. We stick by our customers, providing ongoing support through initial implementation, training and beyond. Our dedication to your success means we'll be there for every step of your contract and document management journey. Be more efficient, see immediate savings, accelerate productivity and generate more revenue, faster with help from the SpringCM success services team. 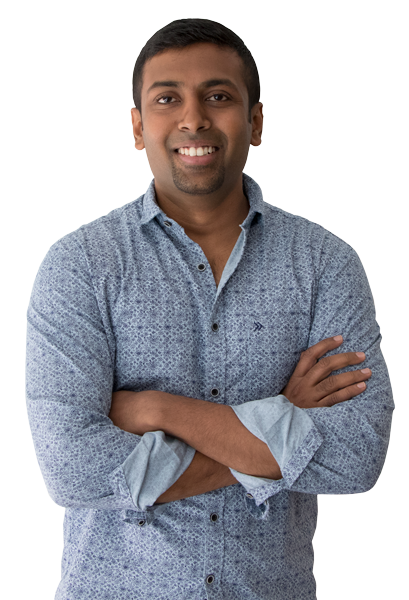 Our community, Momentum, is home to knowledge, documentation, and connections between like-minded customers. Whether you're a current customer or in the process of joining us, you can find the answer to your question in Momentum. Our annual customer summit takes place in Chicago each spring. Join us for two days of relationship-building, learning, and a first-hand look at our newest product enhancements. When it comes to new software platforms, the implementation process can be the most important step in ensuring every member of your company feels comfortable. With SpringCM’s rapid implementation process, the majority of our customers are ready to go with their new platform in 2-4 weeks. Our implementation philosophy — discover, configure, deliver — ensures that you’re up and running faster and with better adoption. Complementing the painless implementation process are training opportunities that turn your teams into content management superheroes. Whether it’s in-person, virtual or self-paced, we have the perfect training option to suit your needs. Our dedication to customer success doesn’t stop at implementation. We offer ongoing support to all customers, ensuring you have access to any assistance you may need. We offer an array of options for contacting our help services, so you can pick the method that’s most convenient for you. Give us a call or send us a message, and we’ll help you through any situation. "Support at SpringCM is always fast. If the solution is simple or more complex the answer is given in a way that the user can easily understand." Companies call us because they want to eliminate time-consuming, manual steps in critical business processes. Leading brands in all sectors of the global economy use SpringCM to manage contracts, documents and all types of content. These companies have found an unparalled platform that allows visibility into critical business processes from any device, at any time. 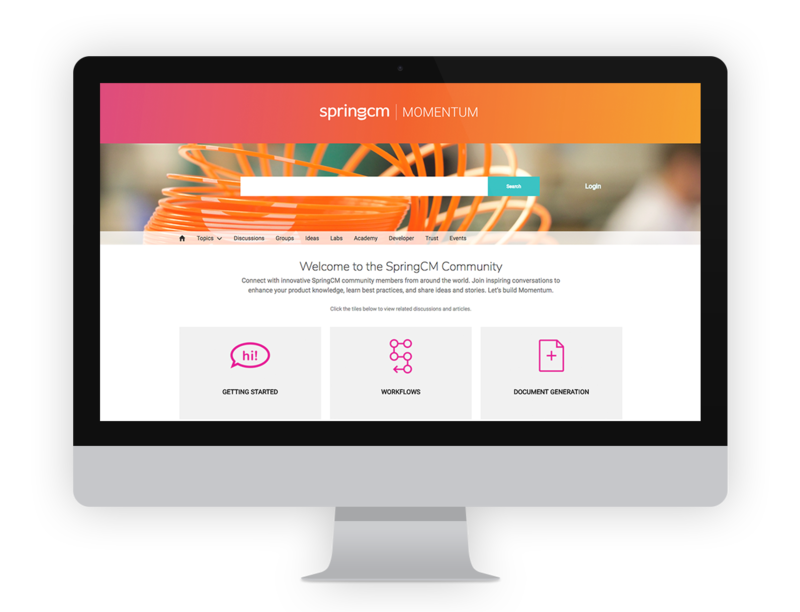 Connect with innovative SpringCM community members from around the world. Join inspiring conversations to enhance your product knowledge, learn best practices, and share ideas and stories.